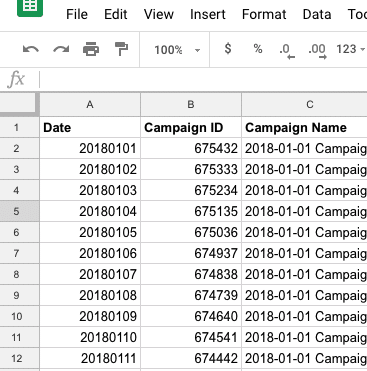 Google Data Studio is a free reporting tool that is easy to learn. In September 2018, the product was still in beta and under continuous development. Because Data Studio is a new product, its properties are constantly changing, and you may encounter some strange error messages. The messages are not always the most informative. This article presents the most common problems in Google Data Studio and how to fix them. You’re getting the error message “Configuration Incomplete: Invalid Dimension, Metric or Filter selected”. The erroneous fields or filters show up in red in the Properties panel of the graph. Usually, this problem appears after the data source connected to a report or graph has been changed. It can also happen if the data source structure has changed. If you have knowingly changed the data source, click the metric or dimension showing as red and select the desired variable in a new data source. If the filter appears as red, you need to create a new filter based on the fields of the current data source. 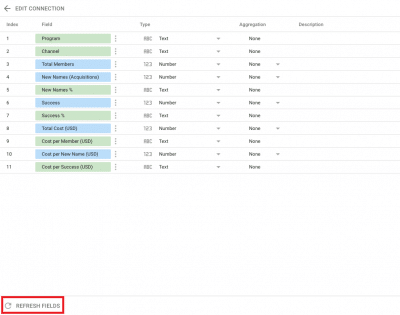 If you have not changed the data source, check the structure of the data source and update the data source fields at Data Studio’s end by clicking Refresh Fields in the data source field editing view. If the problem persists, reconnect to the data source. Data sources with a so-called fixed schema (such as Google Analytics) automatically provide Data Studio with the correct date format. The so-called flexible schema (Google Sheets, BigQuery), on the other hand, may cause problems with dates. In the case of flexible-schema data sources, Data Studio attempts to guess the type of the field based on its heading and content format. Fields named “date”, “year” or “month” are usually identified as date fields. Reformat dates in the data source into a format Data Studio understands. It may help to change the heading. Data Studio includes two types of data sources: those that update automatically (such as a database) and those that require manual updating (such as Google Sheets). Automatically updated data sources update every time the report is opened or the time window is changed. Those that require manual updating will update only by clicking on Data Studio’s own Refresh button. The browser’s Refresh function reloads the report, which only updates data from automatically updated data sources. 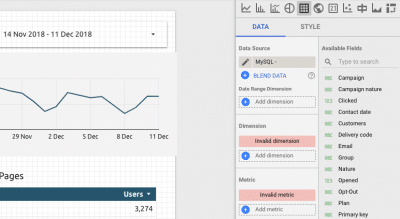 Click on Data Studio’s own Refresh button. Reports usually use data from several data sources, and users often want to filter graphs based on other criteria than dates. The date selection works automatically in all data sources as long as Data Studio recognises the dates correctly. Data from two sources cannot usually be filtered by one filter because Data Studio is unable to combine fields from different sources. Create a field in all your desired data sources using the same ID. This tells Data Studio to combine the fields in the different data sources. Use this field as your report filter. Note that a field ID can only be determined when it is created; an existing field ID cannot be changed. You receive a link in your email to a Data Studio report shared with you. When you click on the link, however, the view that opens does not include the report. Make sure you have logged into Data Studio using the correct Google account. The default account is the one you have first used to log into Google services in the browser you use. You receive an error message “Connection does not exist”, and your MySQL connection stops working. The reason is likely to be a performance issue. Create a new view in the database that includes only the data you need in the report. Create a new MySQL connection and select the view you just created. Still having problems? Don’t fret! Get in touch, and we’ll resolve all these issues for you.